Modern standard class hotel with 100 rooms located in heart of Singapore, near the business district. The hotel's primary purpose is to provide both business travellers and vacationers a comfortable stay. Our tastefully furnished bedrooms are comfortably designed and well-equipped. In the coffee house our guests can enjoy Thai and Western specialities. For the comfort of our guests we also provide room service operating from 7a.m. to 11p.m., tour desk, car rental, laundry service, drug store, post services and free parking lots. Conference rooms are also at guests' disposal. Summer View Hotel is ideally located in the heart of Singapore, close to the business district and entertainment venues. 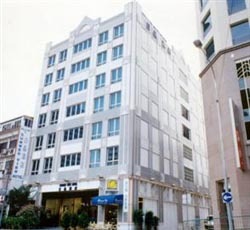 The hotel is only 5 minutes away from the Bugis MTR station and is easily accessible using public transport. Within short walking distance of the hotel you will find many interesting tourist attractions such as Kuan Imm Temple, Little India, Bugis Village, National Museum and Singapore Art Museum. The airport is only 5 km away from the hotel. Our hotel offers 100 bedrooms, each of which is comfortably designed and beautifully furnished so as to ensure unforgettable atmosphere and all the comforts to the guests. The rooms are fully eqipped with modern amenities including individually controlled air conditioning, private bathroom, colour TV, IDD telephone, fridge, tea/coffee making facilities, hair dryer and toiletries supplies. In our hotel the guests have a possibility to enjoy sumptuous breakfast, lunch and delicious dinner. In the refined surroundings of our D'Lemon Tree Thai Kitchen & Cafe one can delight in the best of Thai and western cuisine. In the direct vicinity of the hotel the guests can play table tennis, squash and basketball. Bowling as well as beauty salon and hair dresser are also available within short walking distance of the hotel. Our function rooms are ideal for every kind of meetings, seminars and cocktail parties.